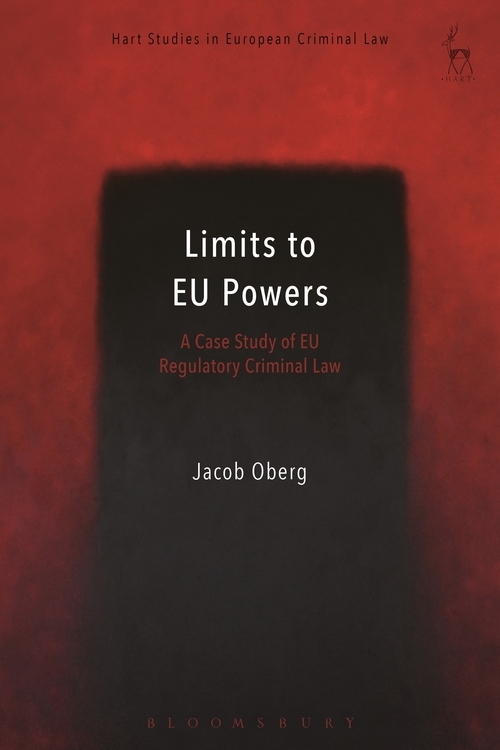 "The main strength of this book lies in its comprehensiveness of dealing with the topical issue of EU regulatory criminal law from the fascinating perspective of limits to EU powers. Its particular contribution to existing scholarship in the field of EU criminal law concerns its focus on judicial checks on the exercise of competences as to which the book offers a convincing proposal for a stricter standard for judicial review in matters of regulatory criminal law and beyond." "An excellent read on competence allocation in EU law and what it means in criminal law context. This book guides the reader through very complex questions of the contours of subsidiarity, national competences and the exact limits of EU powers. It also supplies up to date case studies of financial crimes and the need for the EU to act effectively and thereby increase confidence in the market and the challenges it may cause for national systems. A very timely contribution." Pursuant to the precepts of EU law, EU policy-makers are bound to ensure that any EU legislation must fall within the remit of the EU's competences. This monograph looks at this highly contested issue, with particular reference to European Union criminal law. It looks at the powers enjoyed by the EU to impose criminal sanctions to suggest mechanisms by which legislative powers could be kept in check. 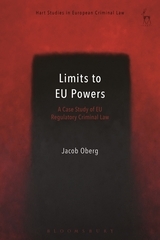 The book argues that the main responsibility for providing checks against the exercise of EU power lies with the EU judiciary. It argues that the most effective form of review is procedural and through the case study of sanctions, provides the basis for such a review. Innovative, engaging and rigorous, this is an important publication both in the field of European criminal and constitutional law. 5. The Legal Basis for EU Criminal Law Legislation-A Constitutional Choice? Jacob Öberg is Associate Professor in Law at Lund University.